The Pakistan High Commissioner His Excellency Mr. Babar Amin met with Hon. 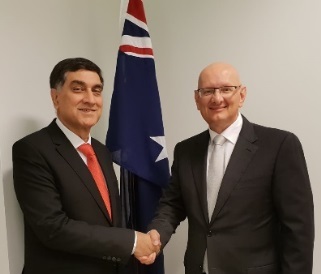 Shayne Neumann MP, Shadow Minister for Immigration and Border Control in his Canberra office, to discuss issues of mutual interest between Pakistan and Australia. 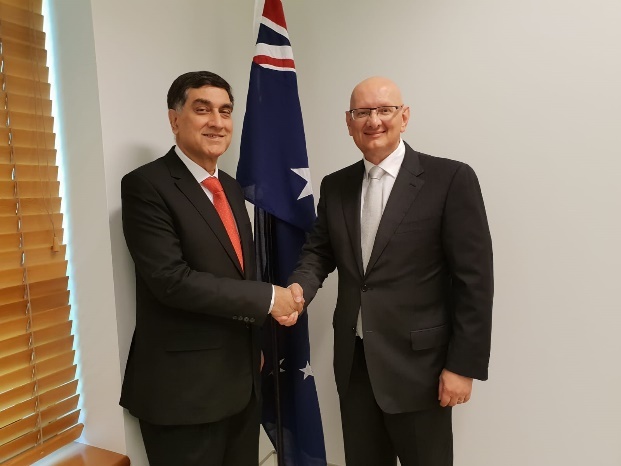 The High Commissioner Babar Amin expressed satisfaction at the close bilateral relations and multilateral cooperation between the two countries. Briefing the Shadow Minister on various aspects, the two countries’ close cooperation in security, intelligence sharing, border management and combating transnational crime was especially focused. 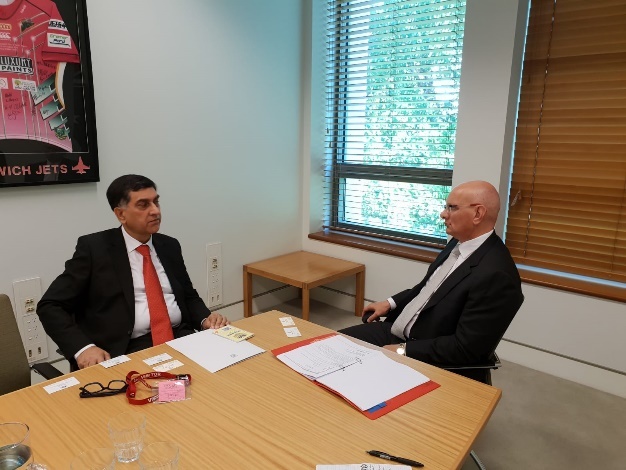 The High Commissioner Mr Babar Amin also gave a detailed briefing on the current escalation in tensions in South Asia; and the maturity and restraint displayed by the Pakistani leadership despite strong provocations. The Shadow Minister was also briefed about the goodwill gesture of the Prime Minister of Pakistan to open the Kartarpur Shrine Corridor to facilitate the Sikh pilgrims. The travesty of justice in acquittal of all the perpetrators of Samjhauta Express terrorists’ attack in India, in which 44 Pakistanis had lost their lives, was also discussed.